Due to the volume of people browsing search engines through mobile devices, Google created mobile-first indexing. This means Google will use the websites mobile version first for indexing on the search engine. It is part of the search engine’s best practices to help mobile users with the quality of their searches. Why this is so huge is that ever since websites were created the desktop version of a website were indexed first. Google will be announcing they are using mobile first indexing through their search console using the “for mobile” content first when indexing…so is your website ready and do you have access to your Google Search Console to get the announcement from Google? If you have different URL’s for mobile and desktop, Google will show them to the different devices where they are deployed to; mobile versions for mobile searches and desktop for desktop searches. For single URL websites, like Responsive Designed websites, you can sit back and relax you have nothing to worry about. Most importantly if the mobile only site(Example – https://m.website.com) has less or different content than the desktop site you are in for a ranking change. Believe it or not it is not required to be mobile-friendly or mobile responsive for mobile-first indexing. Google continues to have one single index that they use for serving search results. They do not have a “mobile-first index” that’s separate from their main index just that Mobile is considered the priority over desktop. Just so that you are clear these are 2 different things. Ranking positions will not change due to mobile-first index. However Mobile friendliness is a ranking factor for mobile searches. Mobile-first indexing is just indexing the mobile content first. It is highly recommended that if you plan to rank well on Google your website should always have good unique content. Updating your site with fresh new content will almost always help your rankings. The relevance of each website pages title tag and metatag to the content on the page is a huge ranking factor. Indexing means recording and Google is just recording mobile versions first as opposed to desktop versions due to an increase in mobile searches versus the use of the desktop. Google is just prioritizing mobile formats to accommodate mobile users. On a separate note coming up July 2018 while website speed has been used in ranking for quite some time, that signal was focused on desktop searches. Starting July 2018, page speed will be a ranking factor for mobile searches. One last note coming up in July Google Chrome will be clearly showing people your website is Unsecure if you still have an HTTP site. So if you haven’t updated to a secure HTTPS site its time to get busy.Per Google – You must obtain a security certificate as a part of enabling HTTPS for your site. The certificate is issued by a certificate authority (CA), which takes steps to verify that your web address actually belongs to your organization, thus protecting your customers from man-in-the-middle attacks. When setting up your certificate, ensure a high level of security by choosing a 2048-bit key. If you already have a certificate with a weaker key (1024-bit), upgrade it to 2048 bits. The biggest take away from all this…if you have a responsive designed website like most businesses do these days..sit back and relax you have nothing to worry about. If you have a separate mobile site just make sure the content is up to date with the desktop site and if your website is not mobile friendly you seriously need to get busy. These 2 tests from Google can give you peace of mind. I am a senior internet marketing consultant here in Philadelphia. I’ve had many local businesses ask me what they need to do so their business shows up well on Google, Yahoo & Bing. I put together some information to help local businesses get a head start on marketing their website online. Philadelphia Internet Advertising: Updating My Website – Now what? Now that your website is updated the key is to get people on your website. I’m sure you heard someone in Philadelphia say “Without marketing your website its like putting up a billboard in the desert.” Here are several questions you need ask yourself to improve your rankings on Google and get more traffic to your website. If you are a small business in Philadelphia this is free internet advertising it just takes time. I read this article today and it reminded me of my previous posts helping Philadelphia business owners get more sales leads. This article by Gareth Owen sums up some of the exact same things I have been preaching to local Philadelphia Business owners. I recently helped a salon owner optimize his web pages and they have seen 3 times the new customer leads over this same period last year. THATS HUGE!! 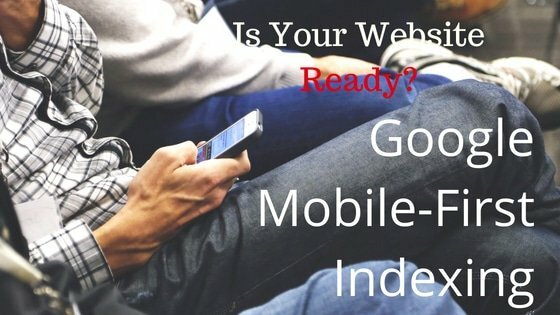 Do I need to have a Mobile website? I understand why there a need for Mobile websites, primarily its the simplicity in click to call or generate a lead. However, in the past the internet was very slow and so it took a long time for a website to load up on your mobile device. Also many websites were not formatted to be easily read on mobile devices. However, other than the click to call, I no longer find this to be the case. With 4G & Wireless hotspots there are many ways to get a fast signal so full websites can load up on mobile devices. If I have a smartphone or any other mobile device why can’t they just show me the full website? Too many of these mobile sites seem to lack much of the information I want from the full site. Some mobile sites don’t even give me the option to go back to the full site…anway, I’m curious as to your thoughts? Do I need a mobile website? So as long as your business depends on click to call, like a hair salon, plumber and other various service industries, mobile websites are here to stay. Brian Brown is an Digital Marketing Consultant with ReachLocal. Get a proven marketing system to grow your business and increase sales. Reach Your Clients. Get Your Business Found Online! © 2019 Philly Online Marketing. 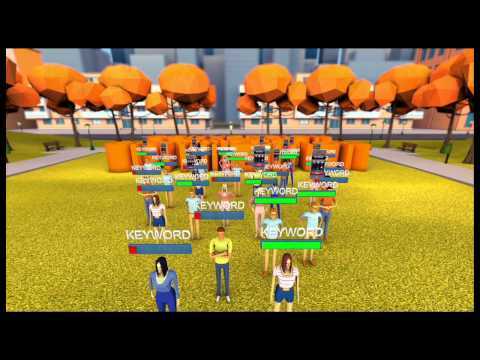 Digital Marketing Company Philadelphia. All Rights Reserved.